When the prince learns that his family’s history isn’t as spotless as he had been told, he endeavors to fix what his family had done wrong and to ensure the continual peace of his kingdom. This will lead the prince to battling the phantoms that prowl the lands, to saving a princess, and to realizing the secrets of his family and his kingdom. 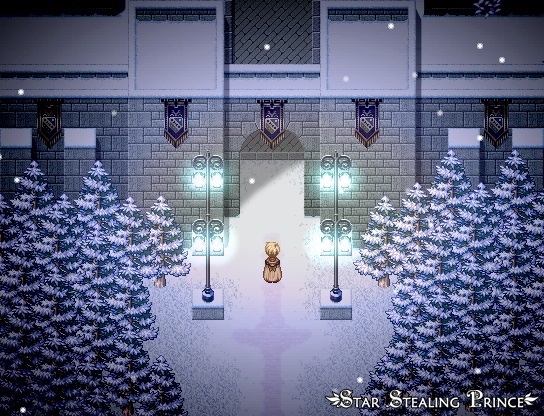 Star Stealing Prince is a 9-10 hour RPG made with RPG Maker VX.